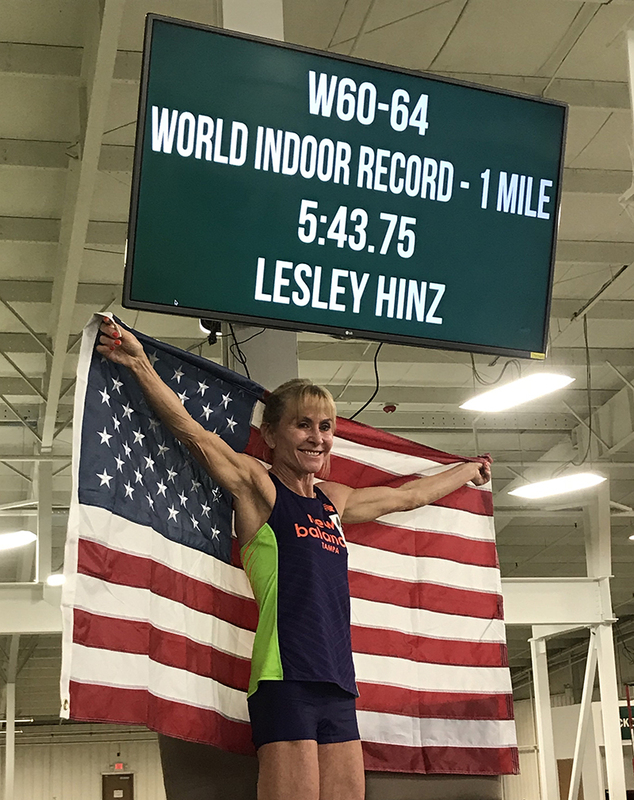 Lesley Hinz gets suitable treatment for her mile WR at Winston-Salem, N.C.
JDL put on a sanctioned but very small meet last night with four running events — 800m, 200m, 400m and mile. Craig agreed to pace me through seven laps. The plan was 5:40 pace, which I didn’t think I could run, but I knew that way I’d have a cushion. Craig ran perfect splits. We went through 800 in 2:50, then I started to drop back a little. Even though I dropped back I knew I was still on pace for the record. I think we hit the bell in 5:01 or so. Then I just tried to pick it up a little. There has been a lot of self-imposed stress this past week so it’s time for a break and some rest. Then we will move on to getting ready for outdoors and Malaga and hopefully some more record attempts; hopefully I will be able to stay injury free. Well, that settles it. First, Lesley breaks the world indoor record in the 800 on a banked track in Landover (in the process beating Kathy Martin’s American indoor record set on a banked track in Boston), and then she betters Kathy’s world indoor record in the mile. Yes, Kathy Martin’s mark in the mile was set on a banked track, while Lesley’s was at JDL, which has a flat track. 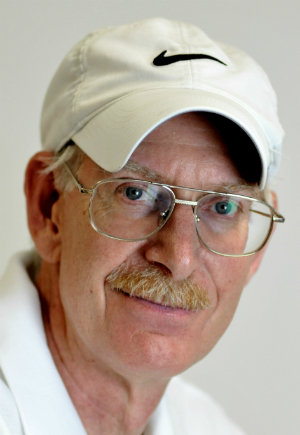 Ken, can we get Lesley some recognition from Indianapolis? Ken, it’s 5:02 in the morning, and I guess I haven’t fully awakened. Lesley broke the world indoor record in the 800 this past weekend on a FLAT track in Landover. My bad. Great week of running Lesley! You and Tom have found the right training regiment which brings out your super star qualities. Congrats! Now you can focus on the Outdoor Records! Breaking news: Lesley was selected as USATF’s athlete of the week. Great.